An in-law apartment should include flexible space that can transform from living room to dining area as needed. Sometimes an in-law apartment is part of the overall plan for the home and family. In other cases, it’s a necessity that comes up unexpectedly. 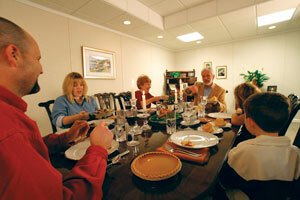 Regardless of the reason, the basement can be an excellent location for an in-law apartment or suite. But to achieve this remodeling goal, you need to plan carefully and hire a contractor who specializes in basement finishing and remodeling –not a remodeling contractor who occasionally does basements. 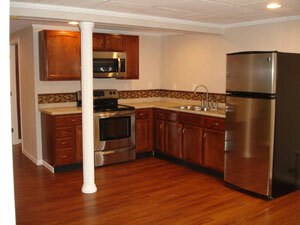 Total Basement Finishing contractors are the best choice for any kind of basement transformation. 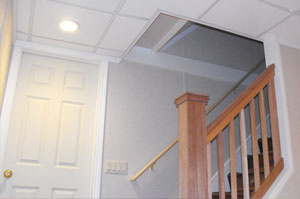 Unlike other contractors, we work with basements every day! To schedule a free estimate to create an in-law apartment in your basement, call or contact your local TBF dealer online! How much will it cost to create a basement in-law apartment? A compact kitchen can include a surprising amount of cabinet and counter space. 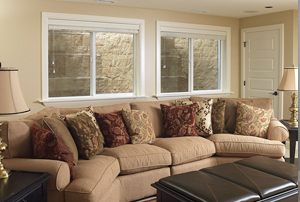 The cost of a basement in-law apartment or in-law suite depends on many factors. If the basement has moisture issues, these will need to be addressed using proven waterproofing and dehumidification procedures. 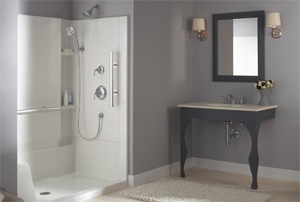 Because any apartment requires some sort of kitchen, bathroom and bedroom, your project will require plumbing, electrical wiring and built-in cabinetry. Also consider the cost of insulation and finished materials for the floor, walls and ceiling. If these expenses seem daunting, keep in mind that by creating an in-law apartment in your basement, you’ll be significantly increasing the value of your home. 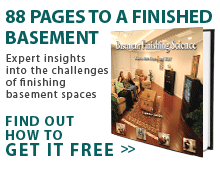 According to “cost-vs.-value” surveys, real estate agents regularly rank basement finishing near the top of remodeling projects in terms of improving home value. A basement apartment is one of the most valued improvements because it’s more than just added living space; it can also bring in rental income. Keep in mind that adding living space in your basement costs about half of what you’d pay to build an above-grade addition. This treatment creates an entry vestibule at the base of the stairs –an extra layer of separation between the apartment and the house. 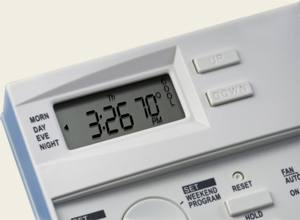 The best way to keep humidity levels in check is to rely on a SaniDry® dehumidifier from Basement Systems. To transform your basement into a safe, comfortable in-law apartment, trust the professionals at Total Basement Finishing. Schedule a free estimate with your local dealer today!